Complimentary passes were provided for review purposes. 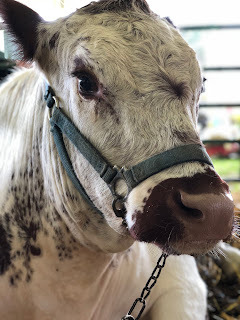 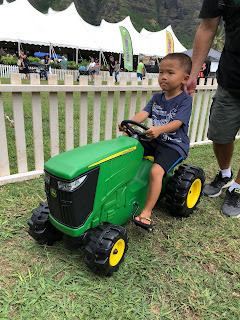 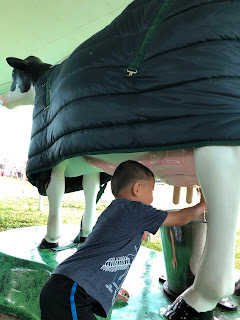 This morning we went to the first day of the 56th Annual Hawaii State Farm Fair. 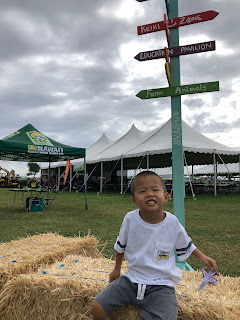 We've been going to this annual event for the past two years and our boys look forward to it every year. 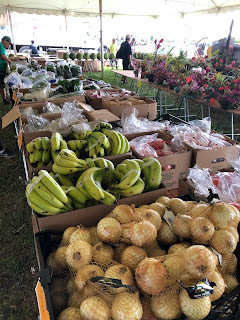 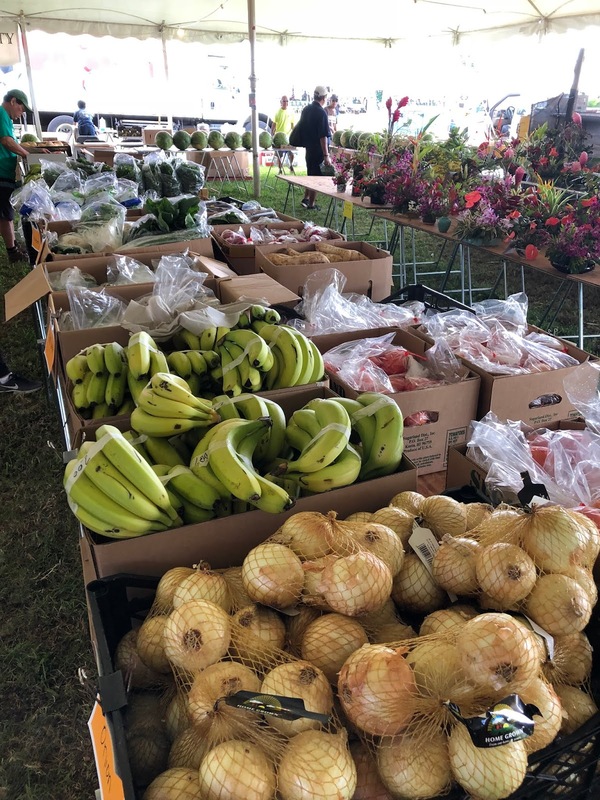 The Kamehameha Schools Country Market and Plant Sale consisted of a wide range of fruits, veggies, plants, and flowers for sale. 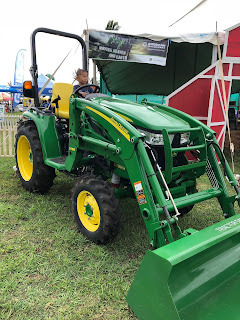 This year, there were A LOT of farm equipment on display for the kids to climb on. 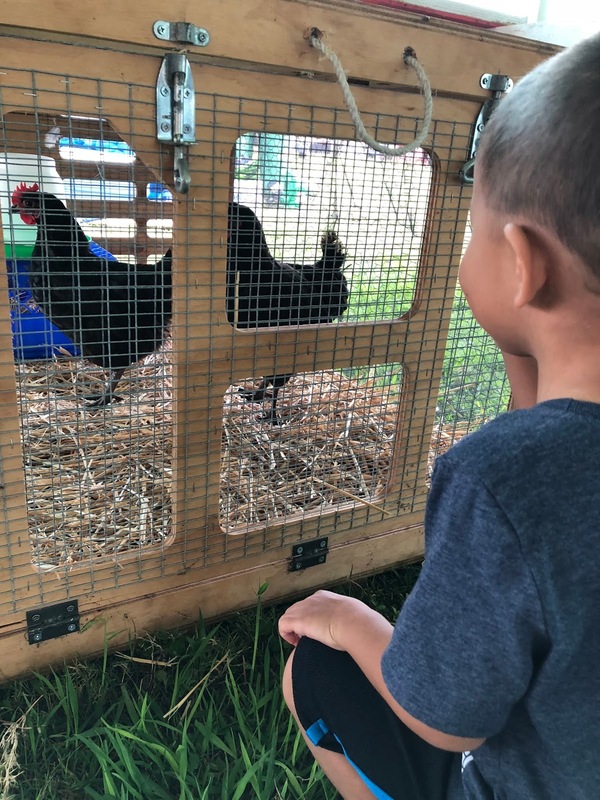 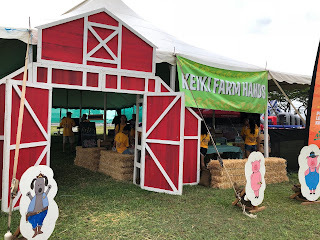 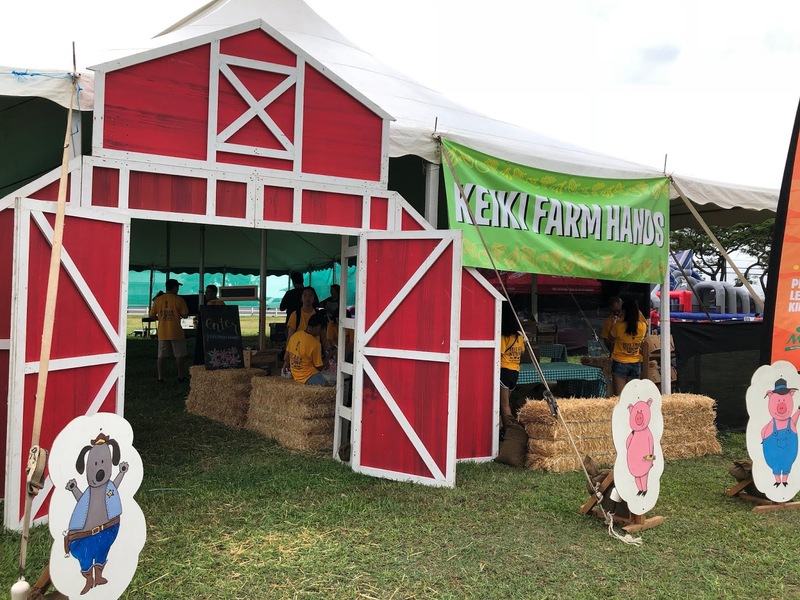 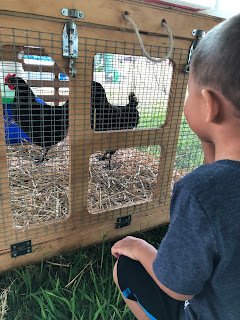 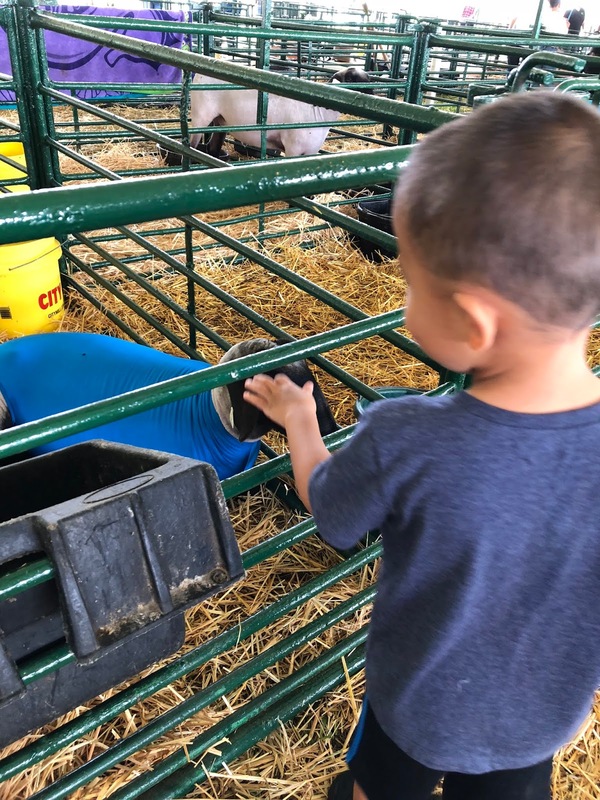 The Keiki Farm Hands provided hands-on entertainment for the boys. Meadow Gold had games and lots of cool prizes for participants. 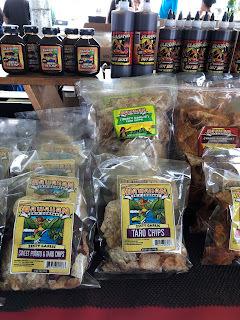 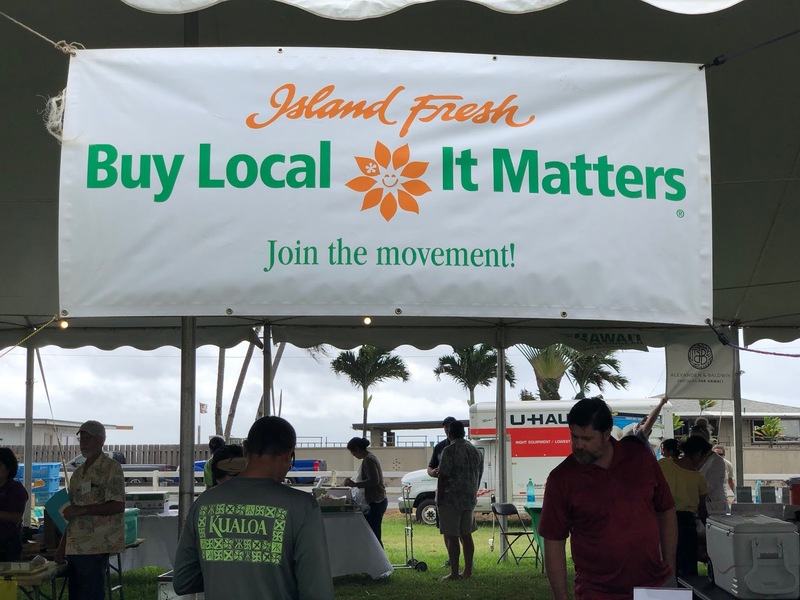 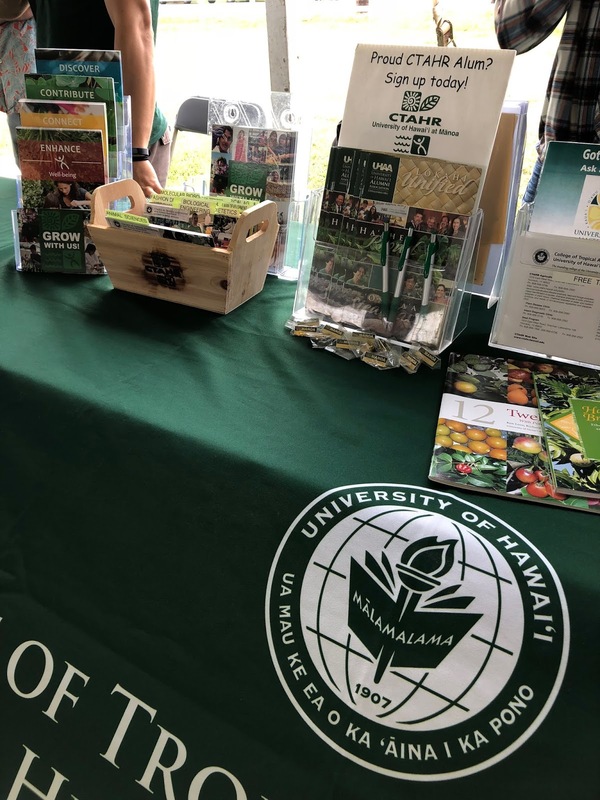 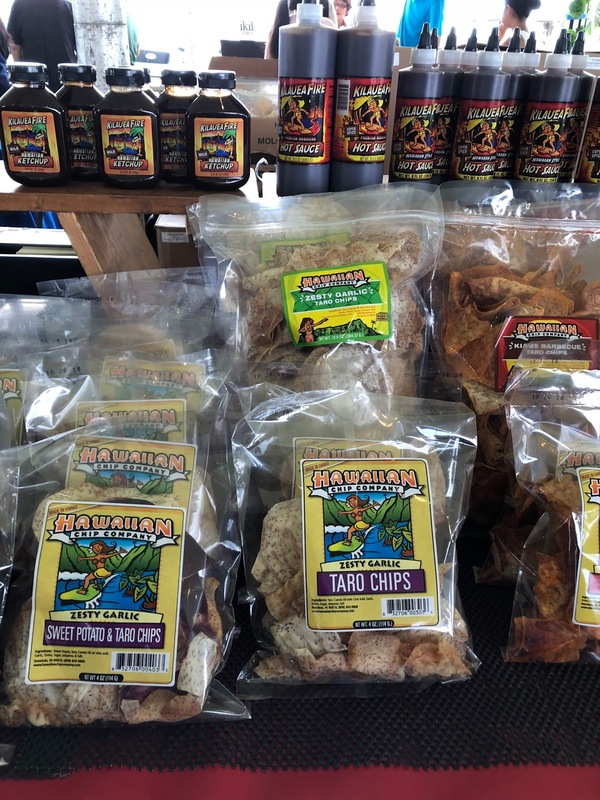 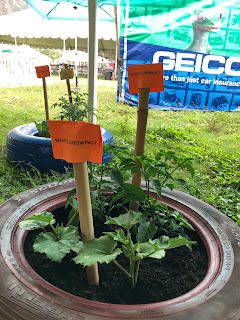 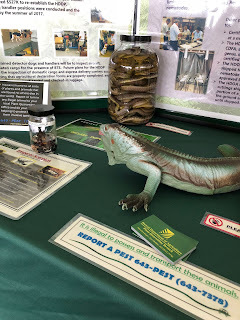 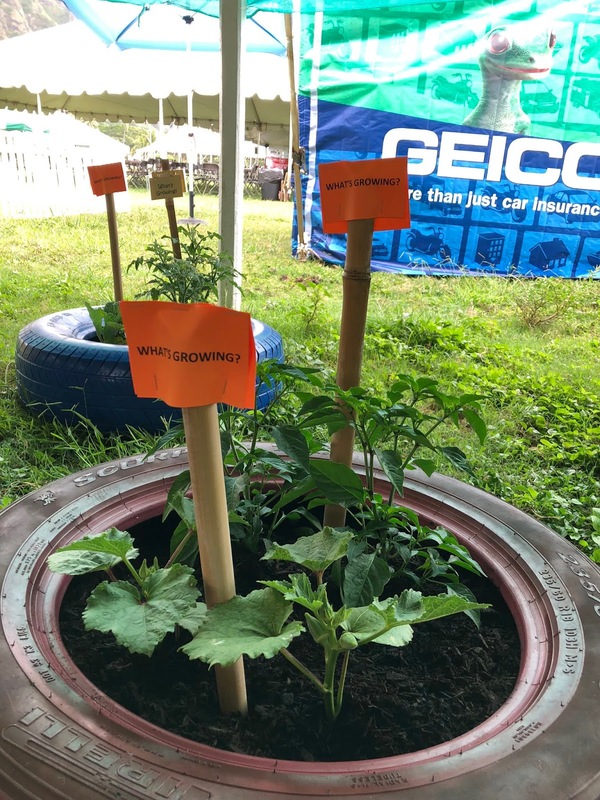 The Hawaii Department of Agriculture's "Buy Local, It Matters" Education Pavilion had a lot of exhibits and local products available for sale. 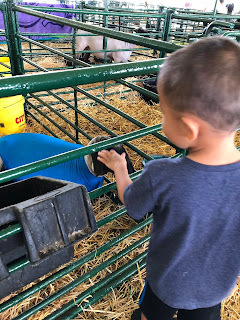 The 4-H Livestock tent was filled with chicks, chickens, sheep, cows, goats, and pigs, some of which were shown by their owners/handlers. 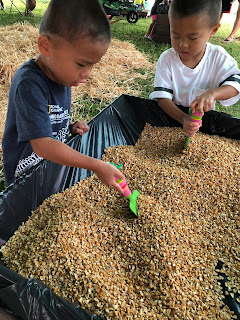 While we were here, we saw the corn husking competition. Some of these guys were really fast at husking corn! 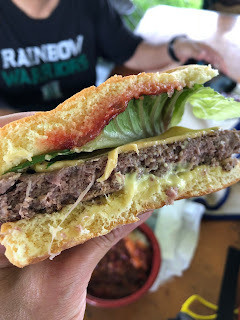 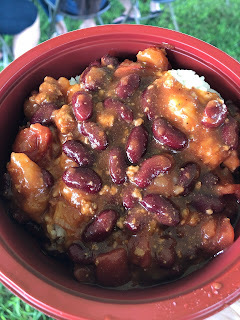 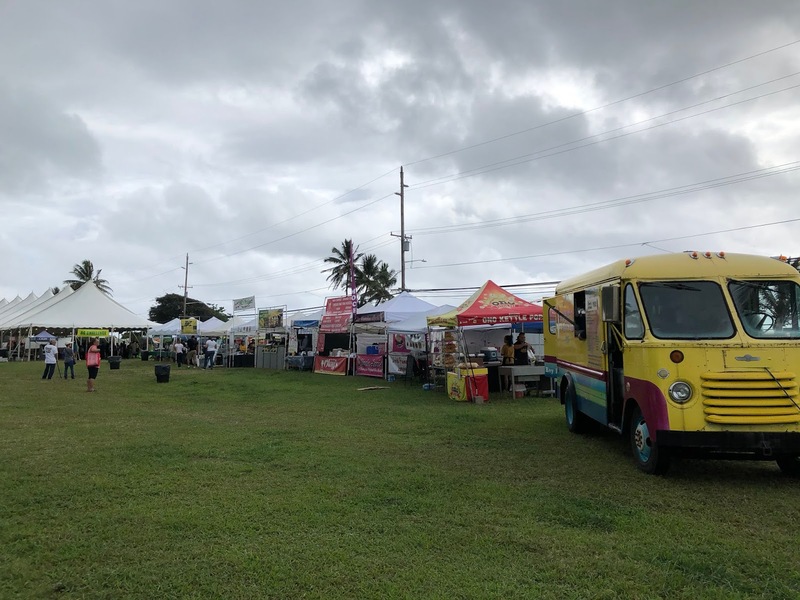 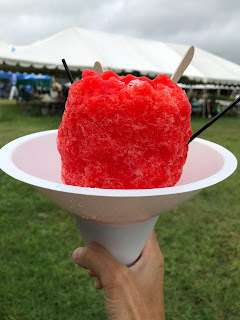 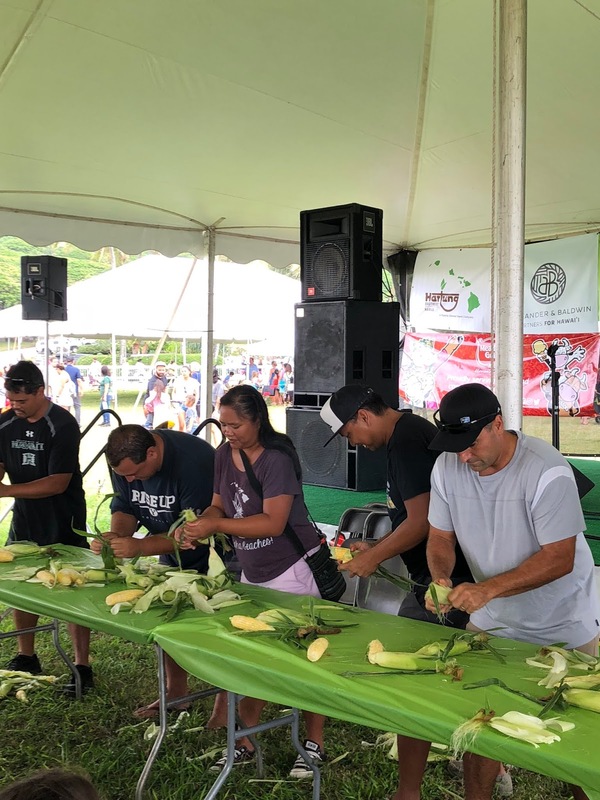 There was a good variety of food vendors this year - Thai food, grass-fed beef burgers and chili, kettle corn, roasted corn on the cob, shave ice, plate lunches, and Waimanalo Country Farm's famous lemonades. 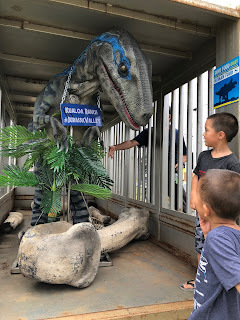 There was even a special appearance from the Blue dinosaur from the latest Jurassic Park movie on display! 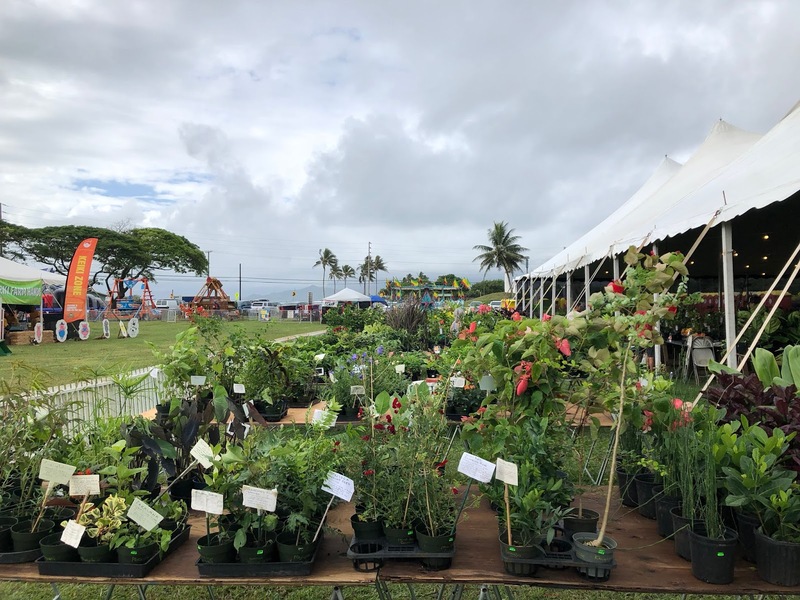 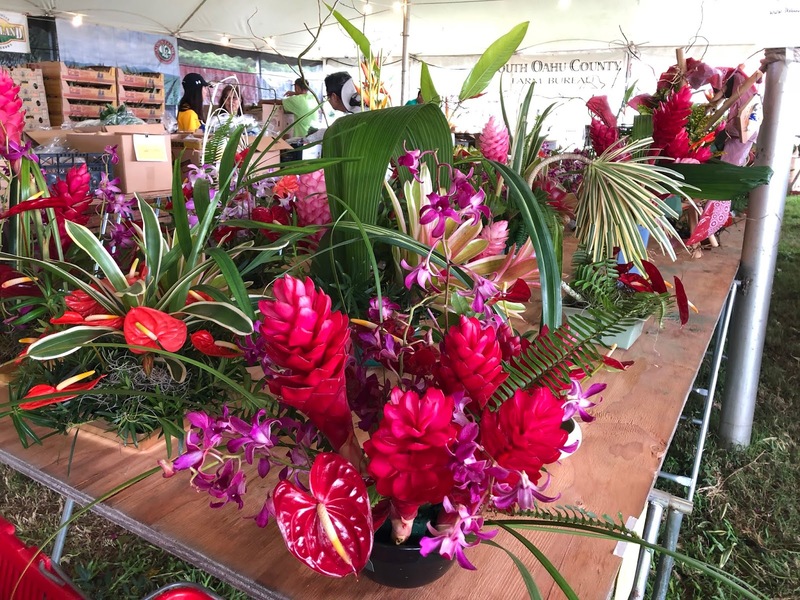 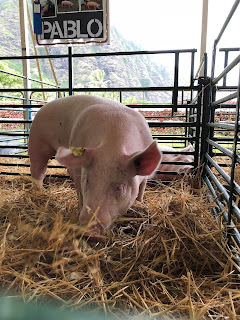 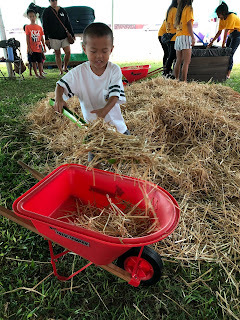 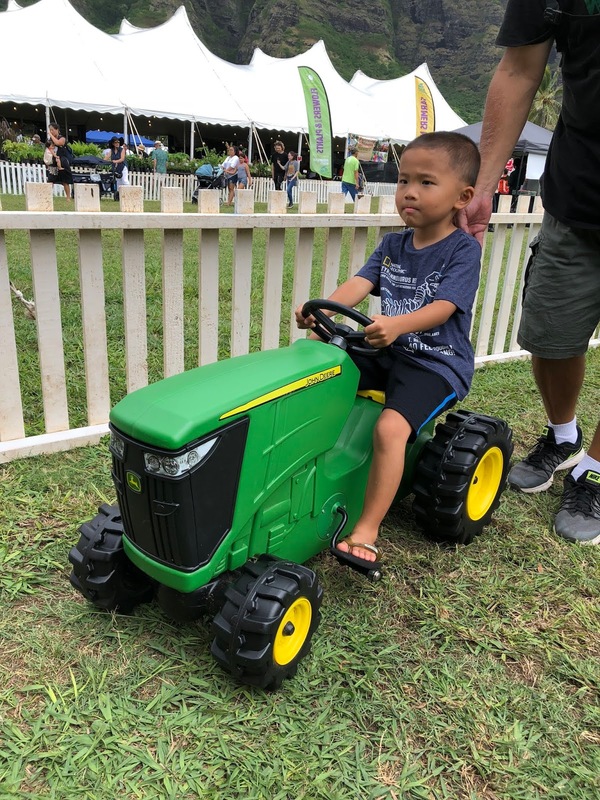 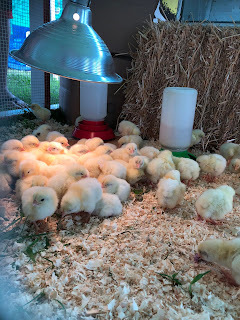 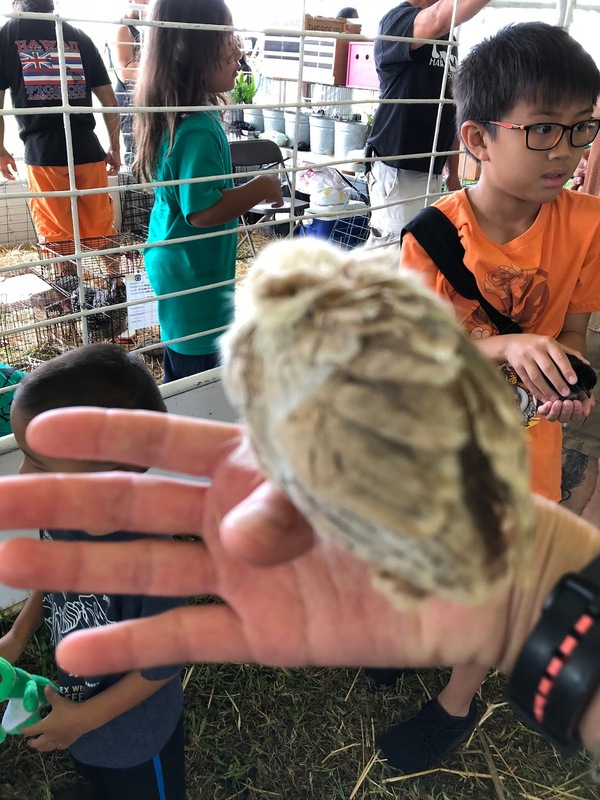 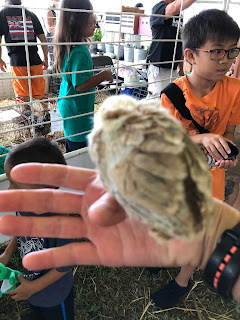 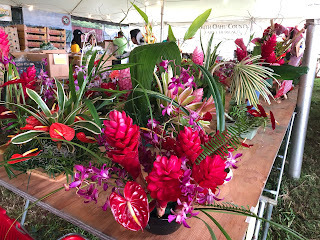 The Farm Fair is open until 7:00 p.m. tonight (Saturday) and continues tomorrow, Sunday July 15, from 9:00 a.m. to 5:00 p.m. at Kualoa Ranch. Check the website for more information! 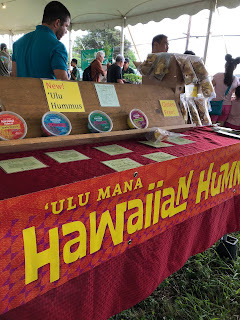 I lived in Hawaii and never was able to go to this. Love your photos. 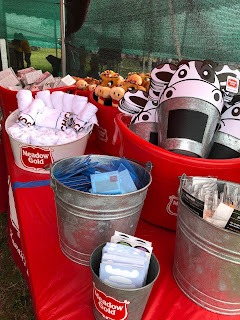 Looks like you all had fun.